New to Jun E Caniel’s Fall/Winter line is the long sleeve “J E C Shona” top. 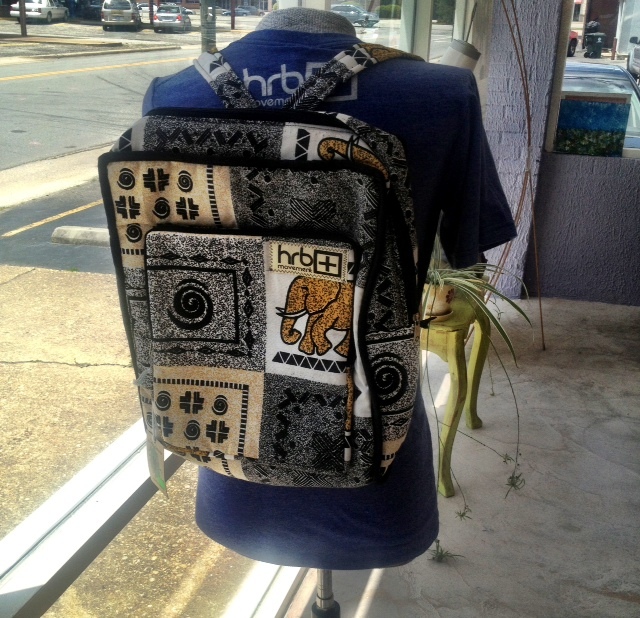 This newest edition features Tiya Caniel aka Legend’s original artwork, paying homage to the Shona people of Zimbabwe. The spears portrayed in the graphic are actually Shona ceremonial spears crossed, one crossed over the other to form an “x” and add to the already fierce look of our beloved logo lion. 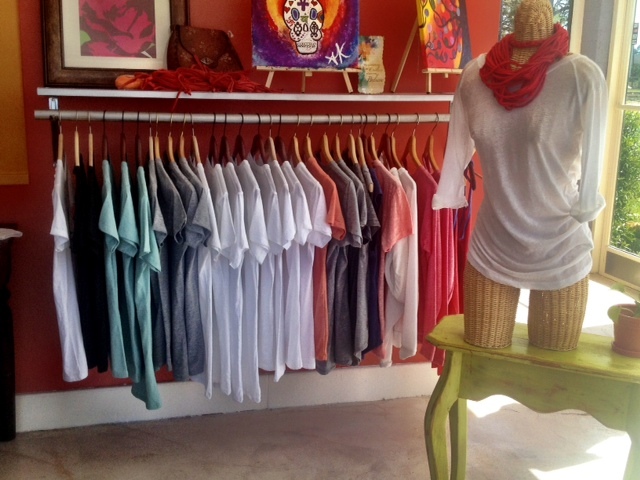 Jun E Caniel’s Women’s L/S Shona comes in eco jersey with a fuller, more contemporary fit and redesigned neckline. Thumb slots and a v-neck set this garment apart from the rest. Spreading love the Jun E way…..
We’ve recently started carrying other brands such as Handmade Expressions, ABAN and HRB Movement. In comparison to our clothing line, each brand has a message they wish to share with the world. As you’ve seen in the previous post, we featured an Handmade Expression iPad Case/Clutch. 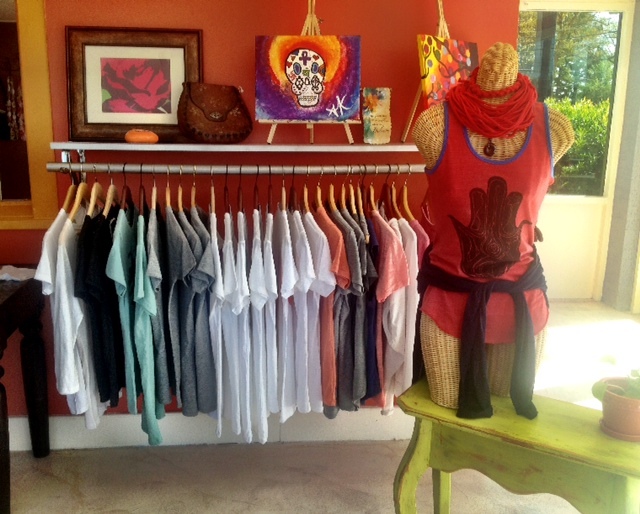 Below you will find photos of the new brands being sold at Jun E Caniel Boutique and in the Jun E Caniel online store. 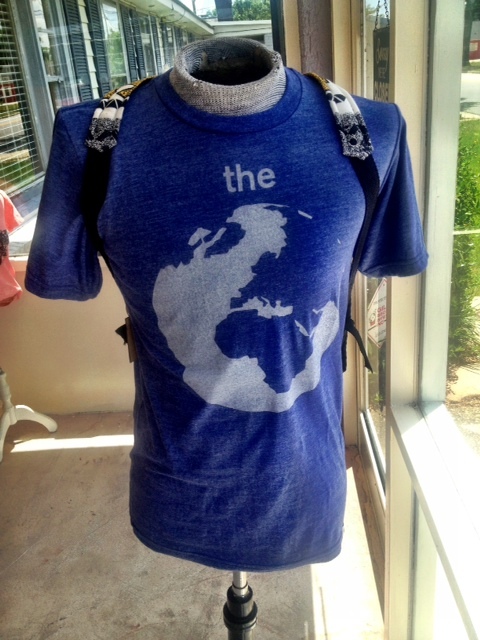 We started carrying HRB Movement clothing and accessories in the beginning of May. 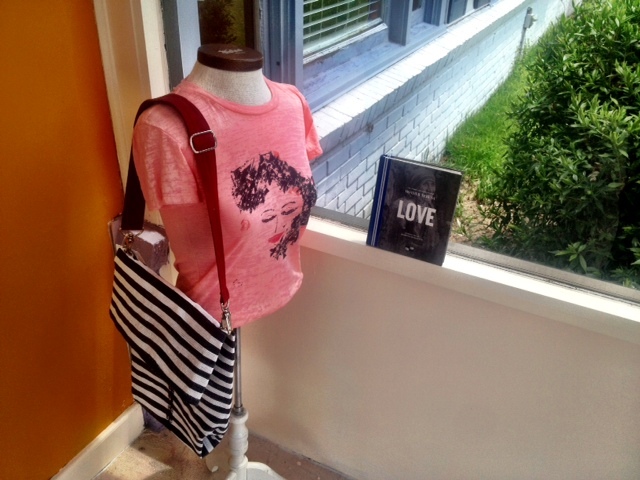 HRB has definitely added a refreshing vibe once the shirts were worn by the mannequins. I think we can all say that HRB fits right in with Jun E Caniel. 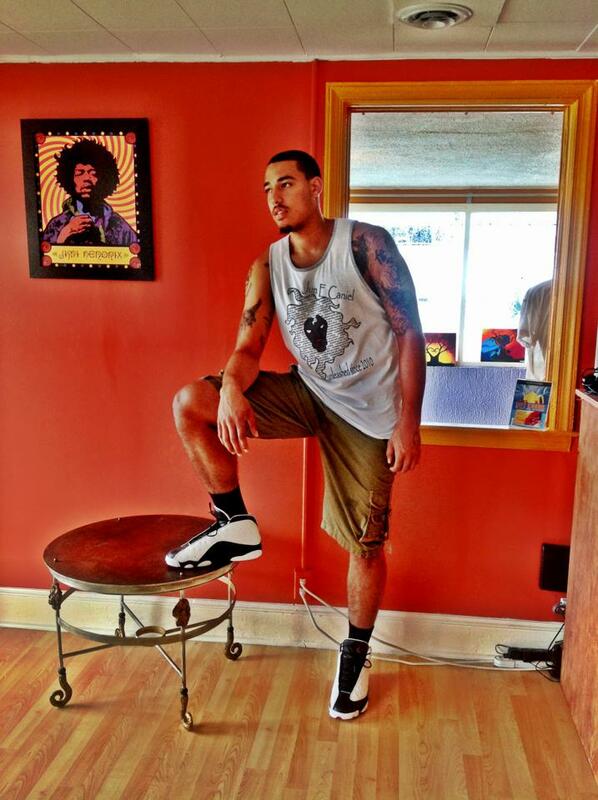 Similar to our shirts HRB Movement clothing feel amazing. 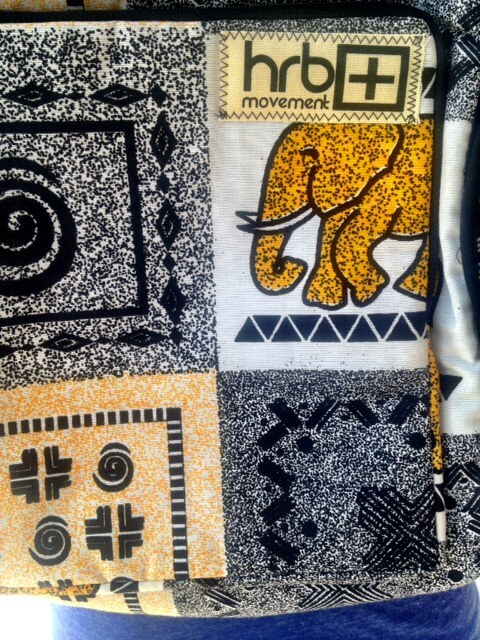 They use either recycled or organic fabrics for the prints of their shirts. If its one thing I love about this brand is their use of the colors on the shirts or backpacks. This brand has been very involved with the community. From them planting trees in North Carolina and Honduras to working with organizations in Ethiopia. It warms the people here at Jun E Caniel’s heart to know that there are more people like us in the world and we plan to work together to bring healthy love and joyful peace to the world. ABAN is a Raleigh-based non-profit organization working to solve problems with one united situation. ABAN works with the street girls of Accra, Ghana to help them learn a trade, make a living, and secure a future, as well as receive the tools to transform their city into a healthier environment. The organization is focused on creating and sustaining a healthier environment. In effect, great care and consideration has been put into the making of their products. Featured below is the “Precious Purse” by ABAN. 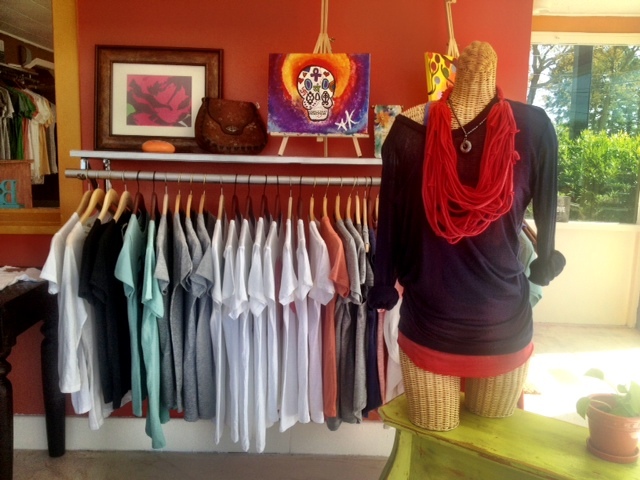 Handmade Expressions is a sourcing partner for socially and environmentally responsible products based in Austin,Texas. They work with underprivilege artisans in India, and strive to improve their economic and social standing by creating self-sustainable employment following fair trade . They create high quality, trendy, and hand-crafted products. Pictured below is Handmade Expressions’ “Basic Plastic Tote Bag”. 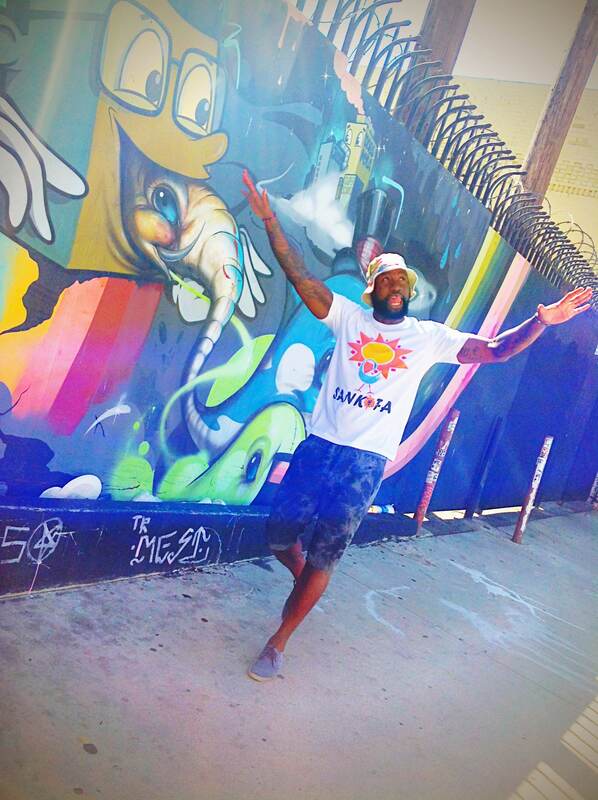 As we travel and connect with others in this world, it is always refreshing to link up with people who simply want to spread the message of love. That’s what Jun E Caniel is all about. Time for some spring cleaning!!! Remember as kids when our parents would force us to take a day from our weekend and sort through all our winter clothes? It was out with the old and in with the new! Fortunately, what we considered a chore, isn’t so much of a chore anymore. We all know that spring brings warmer weather, but unfortunately mother nature doesn’t just jump right into spring, there is what we call a transition phase. This week I’ll help you transition with the swap of the jackets from leather to denim Jun E style. 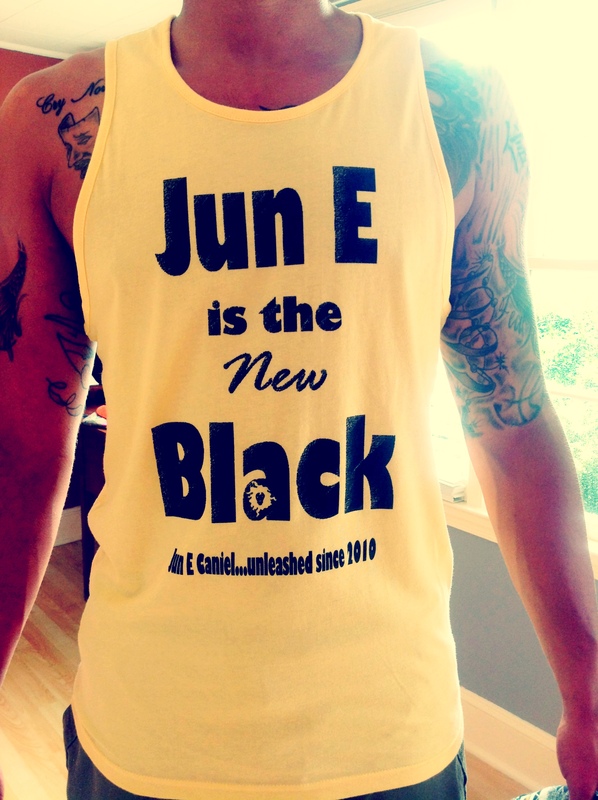 Plus, the Jun E Caniel brand was created for this type of weather! 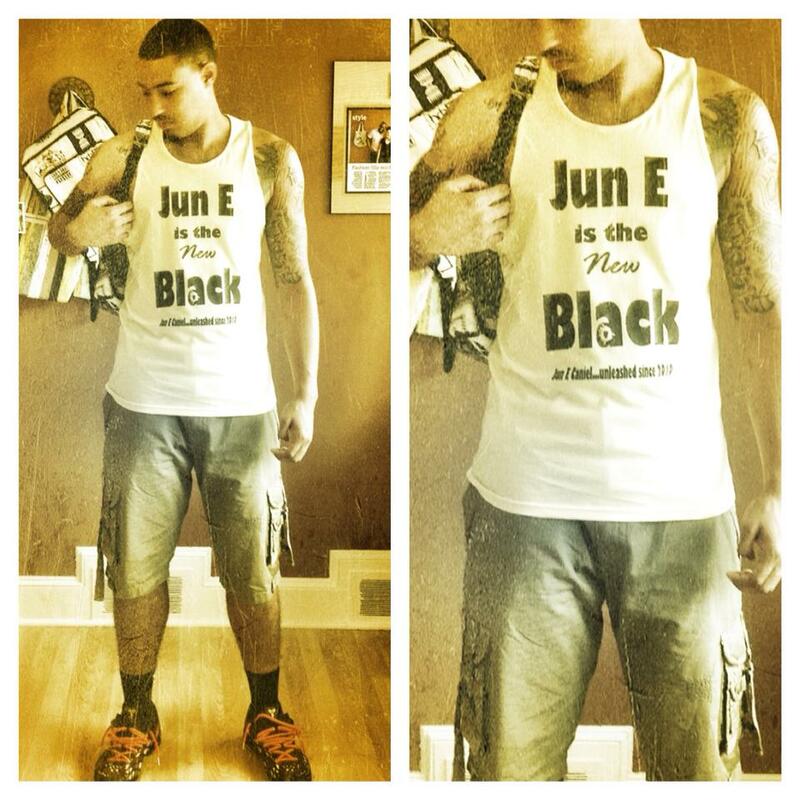 I’m pretty sure if you’re a follower of the Jun E brand, you’ve read somewhere “It’s a Jun E day” . Which basically means “the sun is shining, the weather is sweet” quoted from the reggae legend Bob Marley, even though each Jun E member may have their own interpretation of the phrase, that’s how I would like to simply put it. And trust me with the rising temperatures of Spring rapidly approaching there are many more Jun E days to come! (Above: A sheer, silk modal pull-over in navy layered over a cardinal hamsa tank with a handmade scarlet red t-shirt scarf . This nifty color friendly outfit can be worn in the beginning days of spring. This is perfect for when the warmer weather hasn’t fully broken-in, but you do know its too warm outside for anything that was once apart of the “Winter Collection” attire. 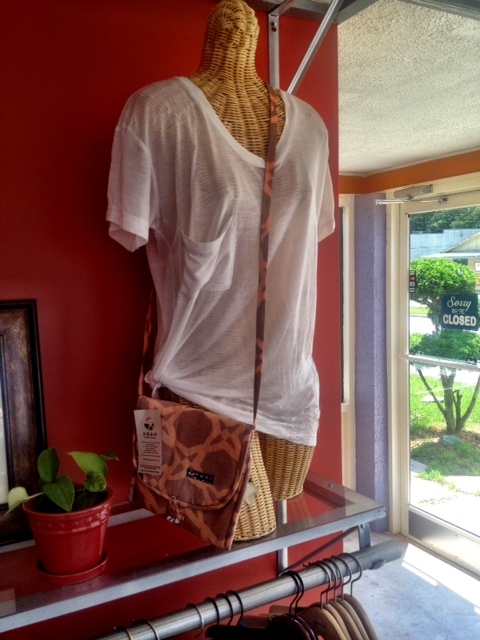 You can pair this outfit up with a maxi skirt, colored skinny jeans or just some casual khakis. Normally, a transition phase doesn’t last a long time. So, sooner than later you’ll be walking around in just a tank & maxi skirt, especially if you live in the southern regions.